The reality we live in today feels like it was straight out of a science fiction movie. What may have seemed like a dream a few years ago is evolving into a veracity we simply can’t ignore. Artificial intelligence is progressively taking over all spheres of life and is getting more sophisticated at what humans do. They are able to do it more efficiently often at a lower cost. The driving force behind progression in AI is due to data. Healthcare is the only industry which has a big data opportunity as against a problem. The large amounts of data in this industry allow for proficient maximization of its use. The potential for AI in healthcare is enormous and it is certain that it is gradually becoming a major part of the healthcare ecosystem. According to a study by Frost & Sullivan, the AI market in healthcare is projected to complete $6.6 billion by the year 2021, an increase of 40% growth rate. Traditional forms are being replaced by digitization in terms of medical records, 4D images, identifying data and improved clinical decision making. This is only possible when we harness the power of machine learning and big data that provide scalable healthcare IT solutions. With nearly 100 percent accuracy, analyzing and identifying patterns has become much faster and accessible. Cognitive technology coupled with deep learning is advancing diagnostics and improving patient outcomes. The ability to store more medical information including journals, study treatments, symptoms and response time is practically much faster than any human capability. Diagnostic programs were earlier written using predefined assumptions regarding disease-specific features. This was when a specialized program was designed for each part of the body which was neither flexible nor scalable. But now, with the advent of AI, a broad spectrum of conditions and diseases throughout the body can be readily handled within the band-with provided. AI is used to solve real world health problems, particularly improving medical diagnosis for all imaging modalities. This includes reading X-rays, CT scans and suspicious nodules and lesions in cancer patients. Accurate information leads to increase in efficient diagnosing of patients, especially multiple times. This in turn drastically reduces the waiting time for patients. Patients’ biological data is used to map out the differences between environments, be it healthy or disease-friendly and helps in the discovery of development of diagnostics in healthcare applications. Using artificial intelligence, doctors are able to gather collective knowledge of patient visits and analyze which treatment works best for a patient and when. Healthcare records can be scanned to help identify individuals who are chronically ill and stand the risk of adverse problems in the future. Another advantage of AI in this field is you can take a comprehensive approach to disease management, improve care plans and support patients better manage and comply with their long term treatments. There is also a surge in the use of chatbots in healthcare. Using AI, a chatbot can connect and provide medical answers, diagnostic suggestions and connect with patients on their treatment plans. Apart from this, robots have been previously used in medicine to assist in a highly complex surgery either in aiding a surgeon or execute preliminary operations by themselves. In addition, AI powers robots are also used for most repetitive tasks in therapy or rehabilitation as deemed fit. The rising healthcare solution to take a leap in AI in the field of medicine is customer service. Healthcare providers are turning to healthcare bots to tackle challenges in this area. Patients can now interact with a healthcare application in AI, either through telephone or a website window for all their medical queries and requests. Virtual assistants are replacing human services from booking appointments, scheduling doctor visits, availability of medication or even billing requirements. This saves ample time while multi-managing large number of customers at the same period. These cases offer 24/7 medical assistance and improve customer services for any of the basic requests. Furthermore, there is a radical reduction in the administrative cost for healthcare providers. 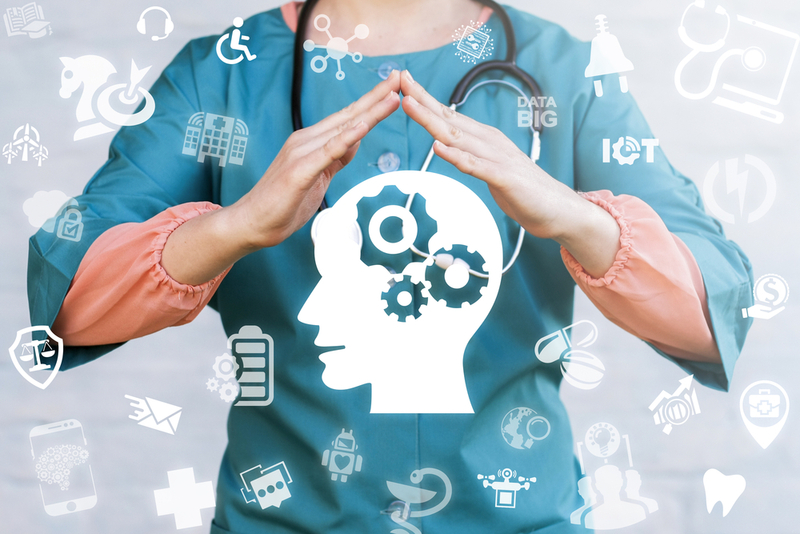 Many organizations are now turning to integrate AI in this critical sector to better address healthcare demands in the future that is constantly on the rise. The use of AI will bring a demanding change in diagnosis, prevention, treatment plans, precision medicine, drug creation and medical management.